We love a reason to celebrate! And while some may call this a "Hallmark holiday", we call it our LOVE holiday. Not only do we show our love for each other, but we also do things that we love. Our weekend started out with a pizza delivery Friday night. And once the kids went to bed we enjoyed one of our favorite shows... Blue Bloods. We knew we had an early Saturday morning so we called it a night early. Saturday morning, started around 6:55 a.m. for me. I made hair appointments for myself, Terry and Avery with our stylist, Krystle, at 8 a.m. And just ask Terry, I don't get up early for anything. But when your hair is in need and your stylist just had a handsome little boy (two and a half weeks ago) and volunteers to come in so you can get your "hair did"... you take full advantage! Did I mention what a superwoman she is? She had that baby boy with no epidural in about 3 hours time. Anyway, we all got our hair beautified and came home to quickly get ready for our day date with our couple friends. We met Ashley and Jared, and Robin and Wade for lunch at Mizu. This was the first time we had ever eaten there, and it did not disappoint! And who doesn't love Hibachi, anyway? 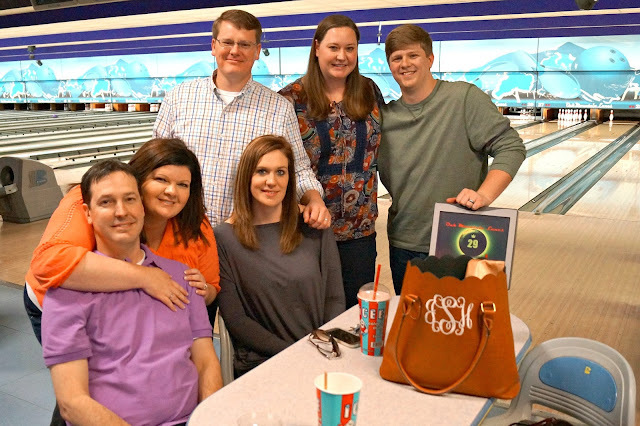 Afterwards, we went bowling. Our date was less than $50, and you just can't beat that. 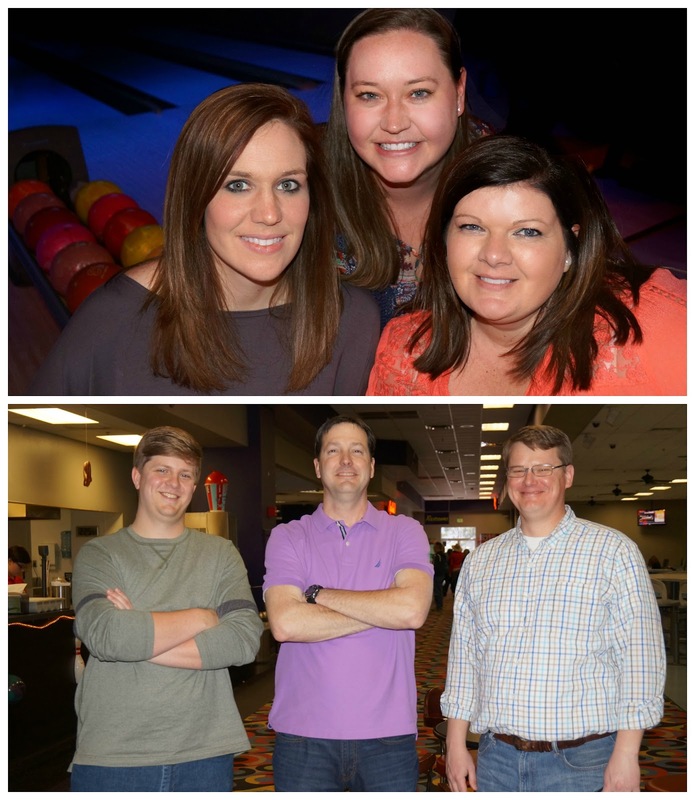 We were all given nicknames for our bowling names. Sweet Cheeks won, and Hot Mama rounded out the top 6. And no, I was not either one of those. I was next to last! HA! After bowling we went and did a little shopping before heading back to the girls. A big thanks to Ganny for coming to stay with the girls so we could have a day out by ourselves. Sunday morning the girls woke up just in time for church so they didn't get to see their Valentine's from mommy and daddy. But I did manage to snap a picture of them before we walked out the door. And it's a good thing we got the picture before church because we came home with two girls sound asleep. Avery woke up when we put her in the bed, but Lenley slept for two hours! So they didn't get to open their Valentine's together, but I guess that made it a little bit more special for them. Avery got sunglasses, more of the cups she likes, stickers, candy, bracelets, a "Lambie" and a Mickey marker set. Lenley got some yogurt melts, two books, some sippy cups, and a "Gabby". Before we came home Saturday evening, we stopped in to get something sweet from Edgar's Bakery. 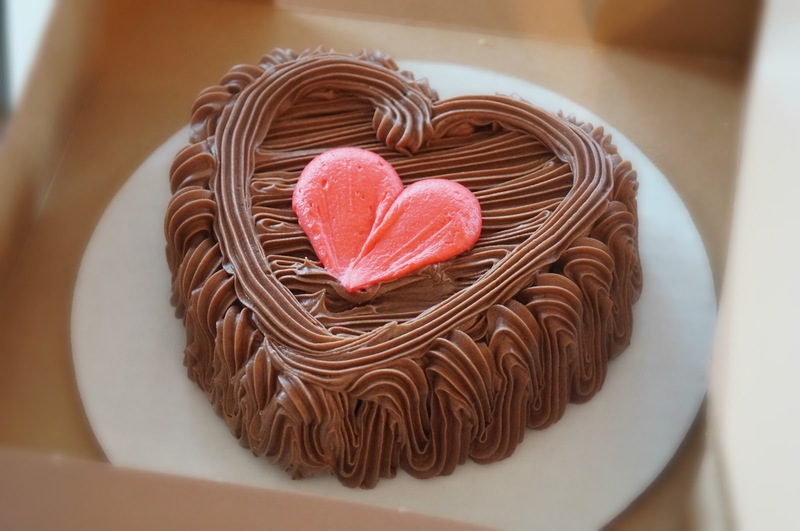 It didn't take long to find the perfect treat for our Valentine's Day weekend... chocolate cake with chocolate buttercream icing in the the shape of a heart — yes!! We had a great "LOVE" weekend, and hope that your day was full of love and happiness, too! Even though we choose to celebrate this "Hallmark" holiday, we continue to show our love year round. But sometimes it's just nice to highlight our love for each other in our family at a special time during the year. Are you having a hard time coming up with something for your significant other to give you for Valentine's Day? 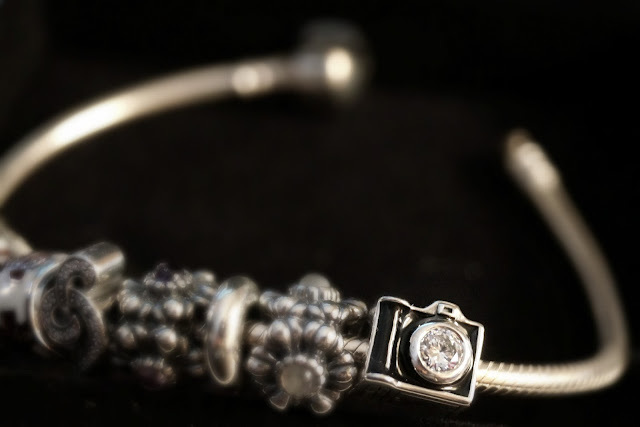 Send him the link to this post for him to get you the perfect gift, and just in time! These are some of my favorite shops! 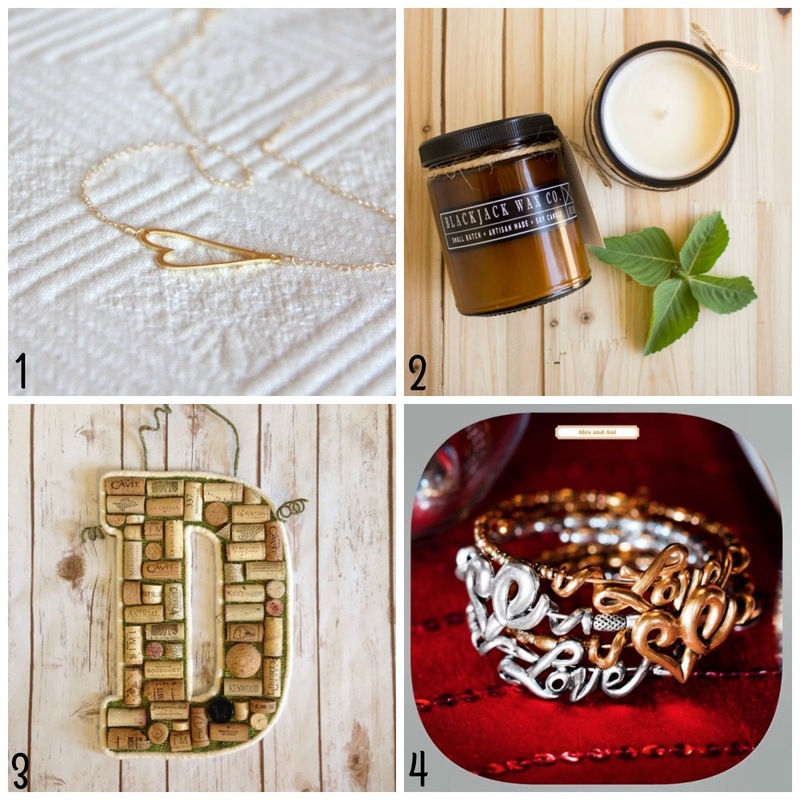 And who doesn't love jewelry, candles and home decor?! If any of these look like something you'd love for Valentine's Day, or a just because... click the links below! All of the links in ( ) will take you directly to the site where you can purchase the items shown above. The link for the Love bracelet will take you to their main site... just call the number and you can purchase over the phone! Cheers to the weekend! And Super Bowl weekend at that! I'm hungry just thinking about all the delicious food that will be inhaled during the big game. Chili seems to be a big hit on game day during the winter. And why not? You can serve it as a bowl of chili, chili cheese dogs, frito chili pie, or my personal favorite... chili cheese fries! I usually think about dinner around 2 in the afternoon. That's about the time the girls go to sleep. Being a mom of two under two... it's sometimes hard to meal plan and actually stick with it. It doesn't matter how well planned you have things, sometimes they just don't work out. Thankfully, my husband understands this and goes with the flow. 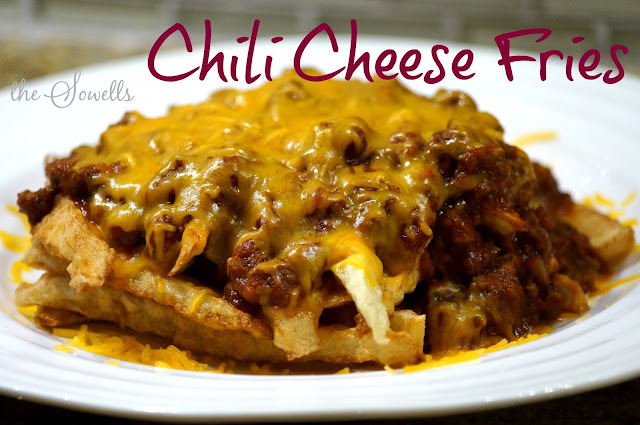 And when this happens and you can't handle takeout anymore... we like to have chili cheese fries. 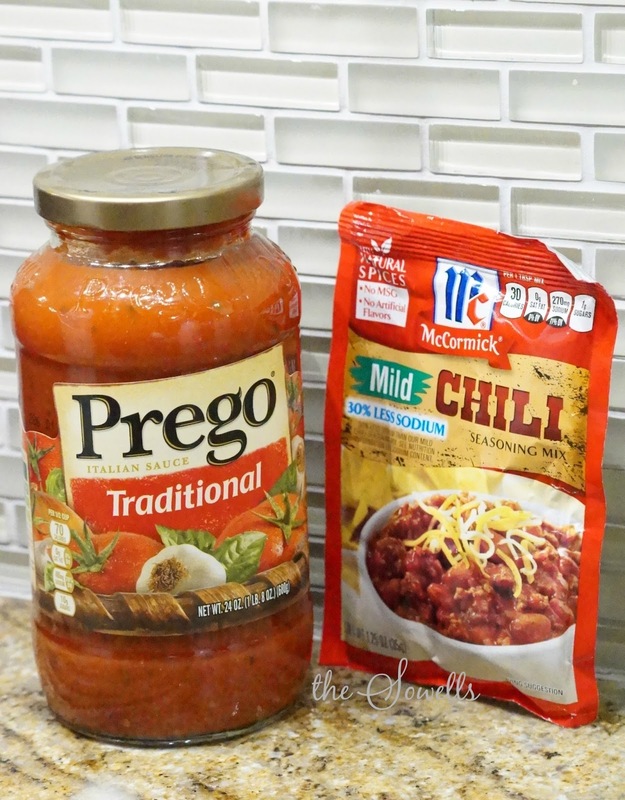 My chili has three ingredients, and is ready in thirty minutes. Not even kidding. You'll probably laugh at my easy plain jane chili, but don't knock it till you try it because it has won in a chili cook off! Brown your hamburger meat (or venison) in a skillet until no longer pink. Drain excess fat. 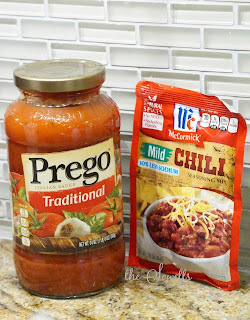 In a medium to large pot add your sauce and chili mix and add your browned meat. Stir together and let it simmer on medium heat for twenty to twenty five minutes. 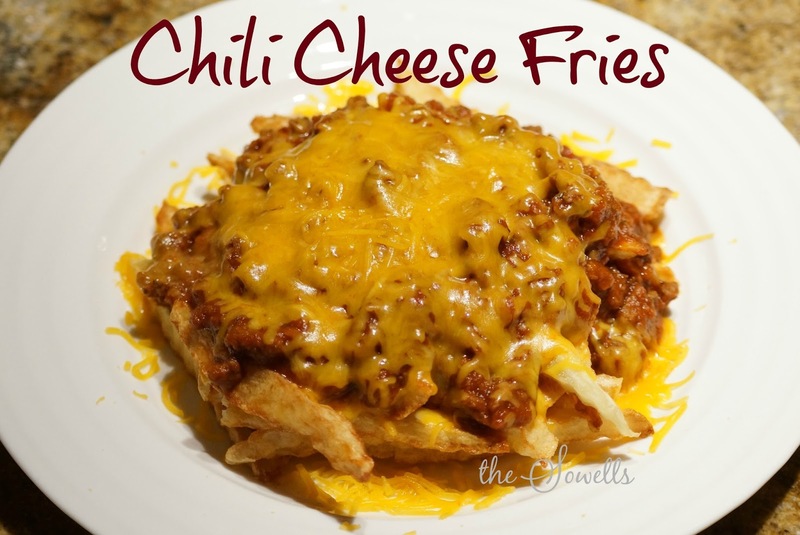 Serve in bowl with cheese and jalapeños, on top of hot dogs, over fritos or like we enjoy... on top of homemade fries. It's perfect for game day, or any other night of the week! Hello February! And hello month of LOVE. With Valentine's Day a few days away, we had to start getting ready for Avery's Mother's Day Out Valentine's Day party. The school has asked the kids to bring in their Valentine's a week ahead of their parties, which means we have to turn hers in tomorrow. And I'm one of those that just can't go out and buy a box of Valentine's at Walmart or Target and send them with my child. Maybe one day, but since this is her first Valentine's day party at school... we went all out. I found the pails at Target in the $1 bins back around the first of January. And when I stopped in yesterday, I think I saw one or two left. So sometimes it pays to think ahead, which normally I don't! So these have been hiding out in our cabinet until it was time to stuff them for her party. I didn't know we had to turn in her Valentine's a week early until last week, and I started panicking. I had in mind taking her picture and making a cute Valentine for her, but it just didn't happen. 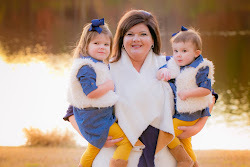 Fortunately for me, I remembered ordering her birthday invitations from a shop on etsy (KellyJo Studio) and remembered how I was so impressed with her turn around time, and how cute they were. I immediately got online to see if she had any listed in her shop. I didn't see any last week, so I sent her a request. And within a couple of hours she had contacted me and we had something in the works for her Valentines. I even sent her a pictures of the pail, and she coordinated the colors for me. I also asked her to put "A friend loves at all times." on her Valentine, and she had no problem accommodating my request. 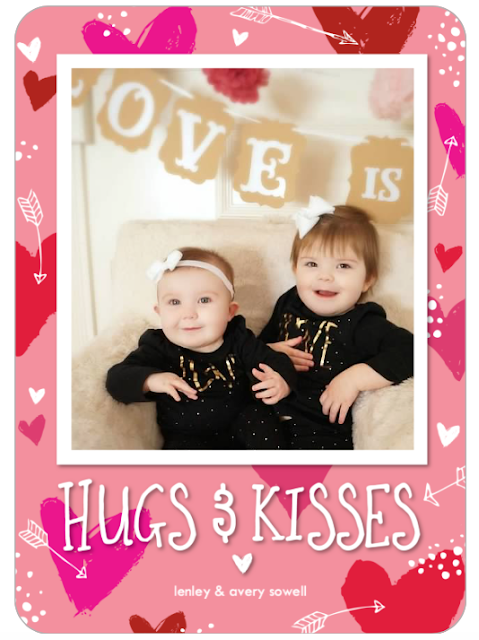 She has some Valentine's listed in her shop now, if you need some printed for your child's Valentine. 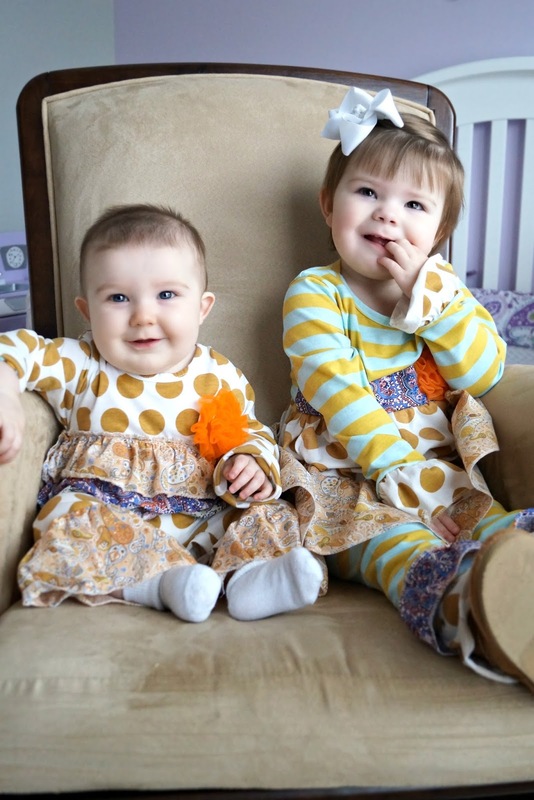 And fyi, they are ADORABLE!!! While we were at Walmart last weekend, we picked up some candy to fill the pails. 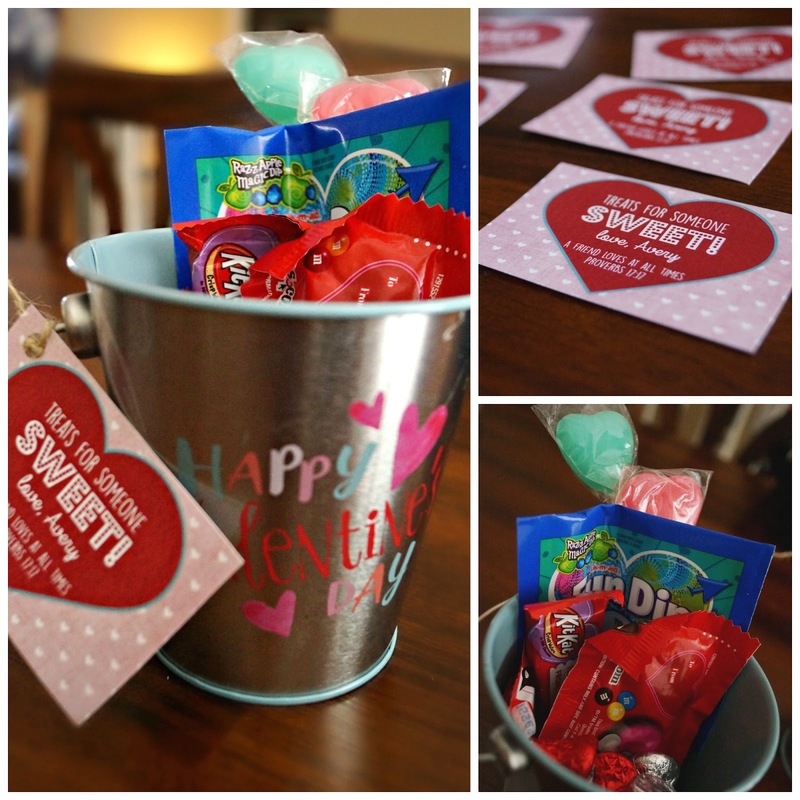 M&Ms, Fun Dips, Kit Kats, heart suckers and Kisses are sure to give Avery's little Valentine friends a nice sugar high! Ha! 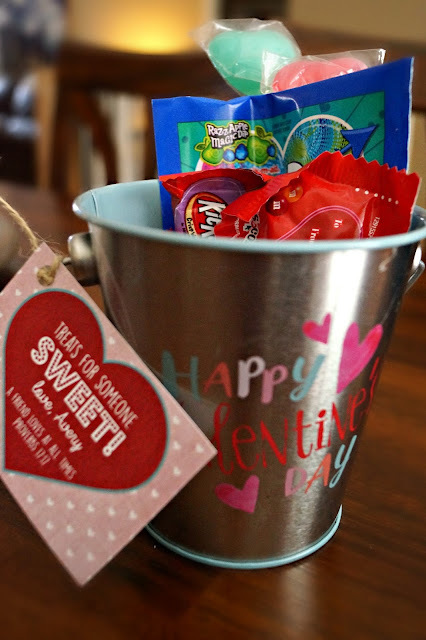 And for her teacher's pail, we added her a little gift card happy in there too. Now we've got to get these in the vehicle so we are ready to deliver them to the school tomorrow. I remember when we were praying for a child that I longed to do things like this with him or her. And today, my longing is being fulfilled. So thankful for our little loves that the Lord has blessed us with.